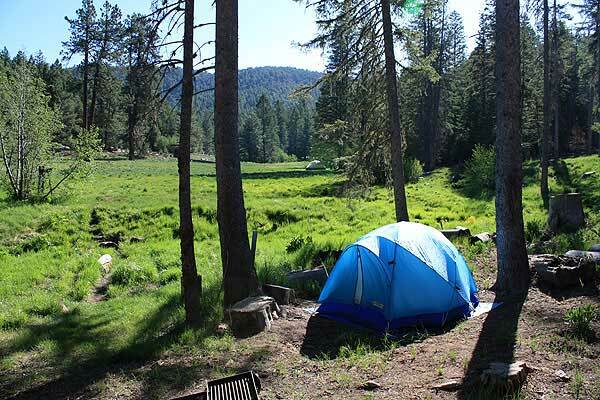 Safford – The Safford Ranger District of the Coronado National Forest has announced that all campgrounds are open on Mount Graham (Pinaleno Mountains). Swift Trail has been open since April 15 and there are currently no closures to any destinations on the mountain. Due to drought conditions, however, stage 2 fire restrictions are in effect, so campfires, charcoal grills and generators are prohibited due to the extremely dry conditions. Cooking equipment fueled by propane or white gas are permitted as long as they have an on/off switch. Smoking is permitted only in an enclosed building or vehicle. No building, maintaining, attending, or using a fire, campfire, or stove fire except in Forest Service developed recreation sites (not including dispersed camping areas). No smoking except in an enclosed vehicle or building, or in specific developed recreation sites. Petroleum-fueled stoves, lanterns, or heating devices providing such devices meet the fire underwriter’s specification for safety. Shooting firearms IS allowed. Just make sure to follow normal federal rules: No shooting within a 150 yards of a campsite, developed recreation site or occupied area,residence or building. No shooting across a road, trail or body of water, or in any manner or place whereby any person property is exposed to injury or damage as a result of such discharge. No shooting in a cave. Chainsaw use IS allowed. However, please use caution and keep from creating sparks by not cutting directly on the ground where the chain can contact rocks while rotating. No fires, campfires, charcoal, coal, and wood stoves. (except using a device that is solely fueled by liquid petroleum or LPG fuels that can be turned on and off in areas that are barren or cleared of all overhead and surrounding flammable materials within three feet of the device). No smoking (except within an enclosed vehicle or building). No possessing, discharging, or using any type of firework by pyrotechnic device. Fireworks are always prohibited. No operating a chainsaw or any other equipment powered by an internal combustion engine from the hours of 9 a.m. to 8 p.m. (except generators with an approved spark arresting device within an enclosed vehicle or building or in an area that is barren or cleared of all overhead and surrounding flammable materials within three feet of the generator). No welding or operating an acetylene or other torch with open flame. No operating or using any internal or external combustion engine without a spark arresting device properly installed, maintained, and in effective working order (this does not include motor vehicles. This is aimed at things such as landscaping tools). No discharging firearms, air rifles, or gas guns (except while engaged in a lawful hunt pursuant to state, federal or tribal laws and regulations). No possessing or using a motor vehicle off National Forest System roads. Vehicles must stay on open Forest Roads and cannot drive/park over any vegetation at any time. Common generators with working spark arresting device may be operated between 8 p.m. and 11 a.m., as long as you have cleared flammable material at least 3 feet around it or it is enclosed in your vehicle (such as the rear portion of an RV). Cleared flammable material at least 3 feet around it. It is placed in an area that has no overhead flammable materials. All it is doing is producing flame and can immediately be turned off and there is no element continuing to burn after it has been turned off.